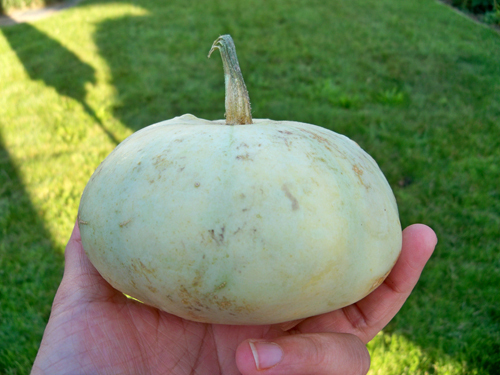 Last week we got a patty pan squash with our CSA vegetables. I had no idea what to do with it. 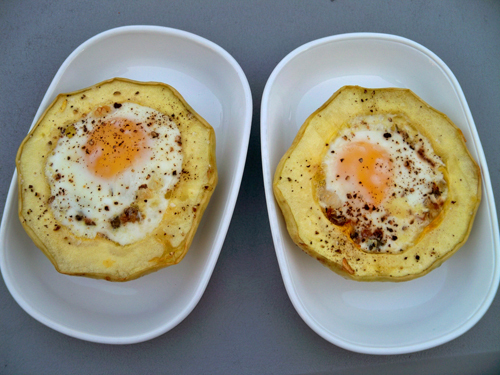 Then I found this recipe online from Sunset Magazine - Pattypan Squash with Eggs... very easy and tasty!